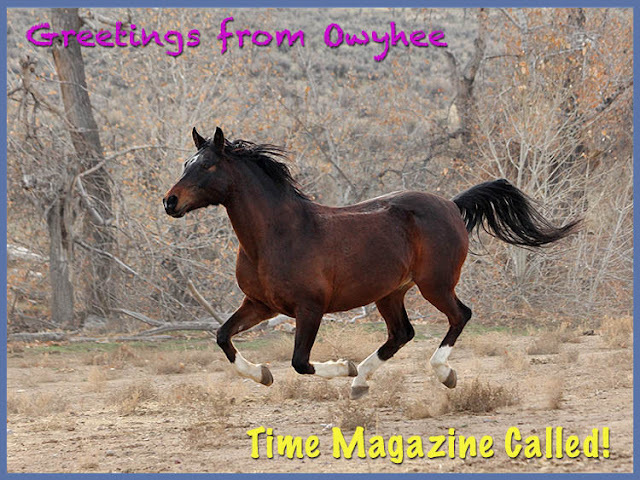 Merri Travels on Endurance.net: Postcard From Owyhee: #TimeMagazineCalled ! Ha! My horse Major turned down the "probable" option too this year. He would also try to eat the camera. Seems like Major and Dudley would rather be out taking in the scenery and running around. 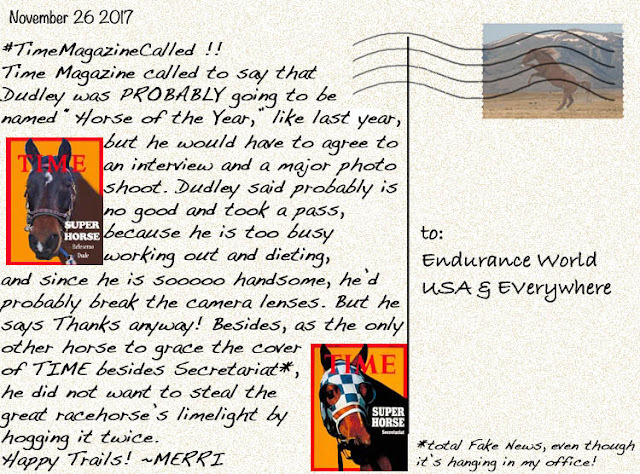 Anyone who wins will be a distant second to our horses!